Our Oswego Farmstand will be open today and tomorrow from 9-6pm. It will then close for June and reopen when sweet corn is ready — hopefully mid-July! 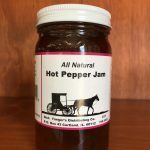 Our Naperville Farmstand will remain open. We are open Saturday and Sunday 9-5pm and Memorial Day 9-5pm. 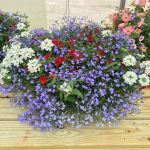 We have LOTS of gorgeous flowers, planters, and flats as well as vegetable and herb plants. Stop in and indulge your inner gardener! 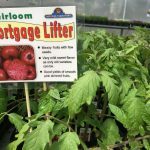 We carry over 125 tomato varieties! 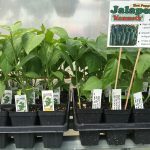 Need an excuse to plant some new kinds? How about for their FUN names? Lots to choose from! 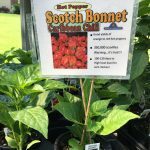 Your yard will smell fantastic! 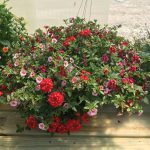 We carry plants that will make your yard or garden smell so good! 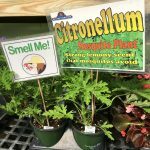 Citronellum (aka the Mosquito Plant) smells like lemon. Heliotrope smells like vanilla. Cerveza ‘N Lime Plectranthus smells like lime! Mmmm. 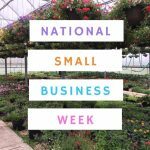 Small businesses help build strong communities! We hope we’ve made yours a better place to live. Start small, dream big!